Not to be confused with the film, A Tree Grew in Springfield. 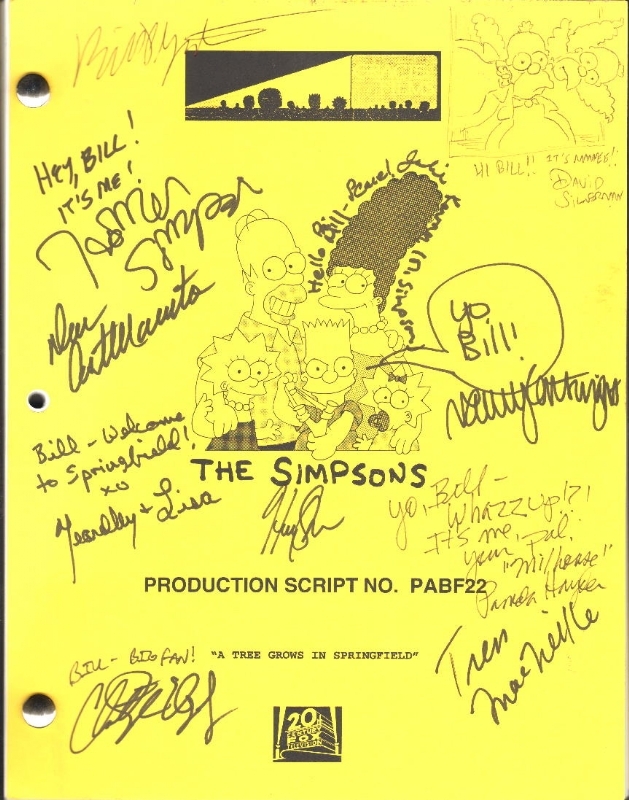 "A Tree Grows in Springfield" is the sixth episode of season 24. 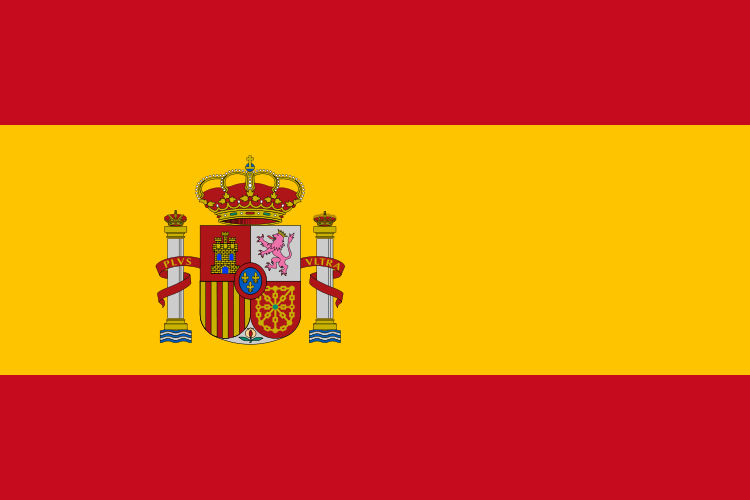 It first aired on November 25, 2012. Stephanie Gillis is nominated to an Annie Award for Writing in an Animated Television/Broadcast Production with this episode. 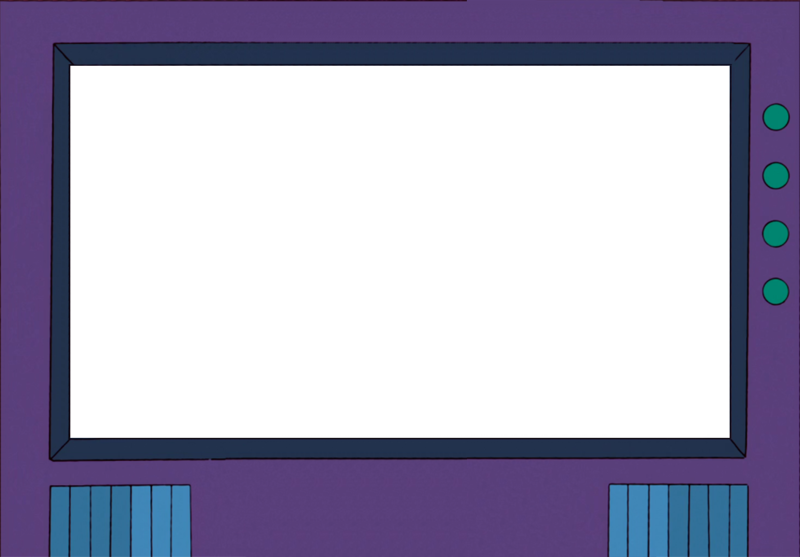 The episode ending with a short, called Logomania. 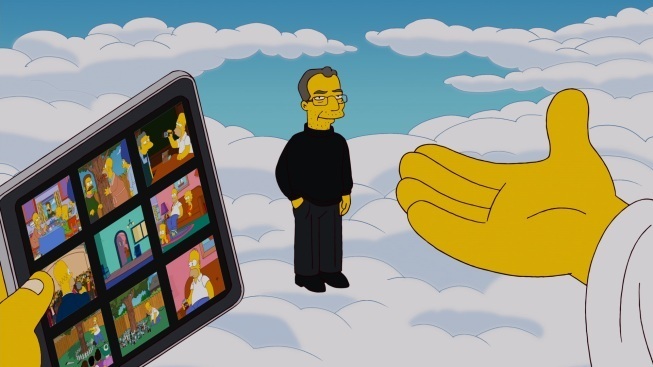 "Homer wins a MyPad at the school auction and Steve Mobbs, who is now in heaven, talks to Homer through it. 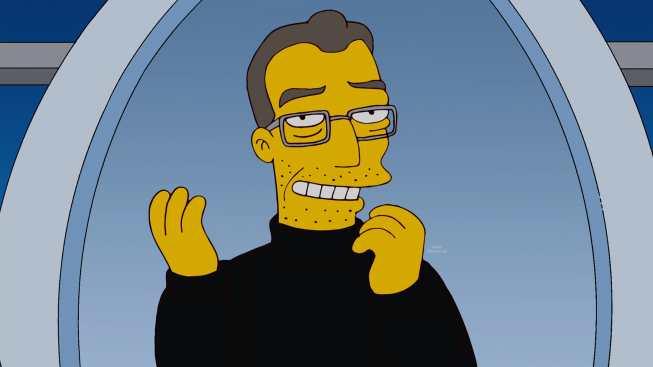 Homer goes into a funk when he breaks the myPad, until Ned Flanders discovers a miracle tree in the Simpsons' back garden." Homer dreaming at the hammock and wakes by its raining when he going inside he finds out that it also rains inside. Homer leaves Marge and his family at the rain damaged the house and visit Moe's. Moe discovers that Homer is upset so he calling the Duff Beer Party Bus. Duffman tries to cheer up Homer but he also instead becomes depressed. When Homer leaves Moe's it's revealed that he had received a parking ticket, he tries to avoid it but fails. 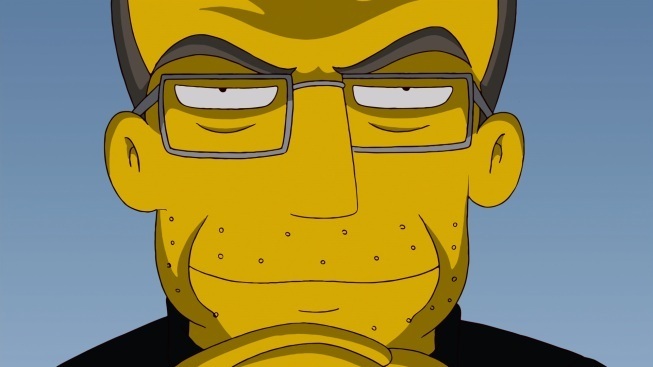 Homer comes home just in time for the school fundraise. Lisa buys there a lottery ticket to Homer who think it is unnecessary. 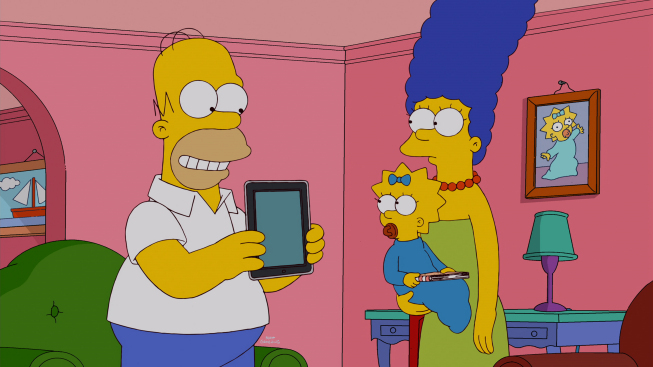 The winner of the MyPad becomes Homer. 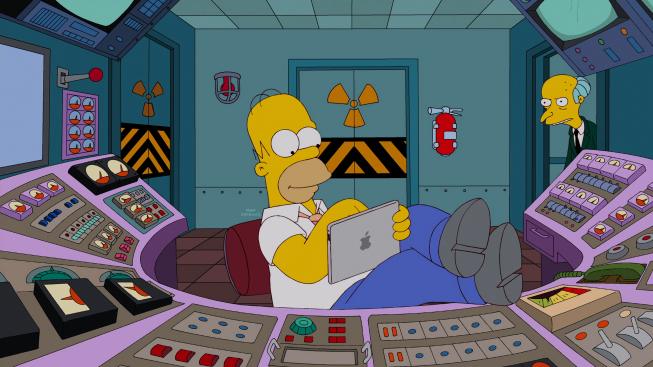 Homer loves his new tablet and Marge realize that he in a better mood with all apps on in it. Homer uses it to get a kiss from Marge, doing a Skype call with Lenny, entertain himself when he visit the IRS and talk with Mr. Burns. Lisa and Bart thinks it's dicey when Homer cares more about the MyPad than them when they visit the zoo and when Homer want use the MyPad when he play with Maggie starts also Marge annoyed on it. Homer starting play a pizza game on it and he does not see where he is going and falls down an open floor drain at the street. Homer ends up in hospital and his MyPad becomes broken. Homer is sorry again but at the breakfast table the next day tell Ned him at a tree in his garden says "Hope". Ned thinks it's a miracle, Homer doubt but he soon begins to believe in hope. 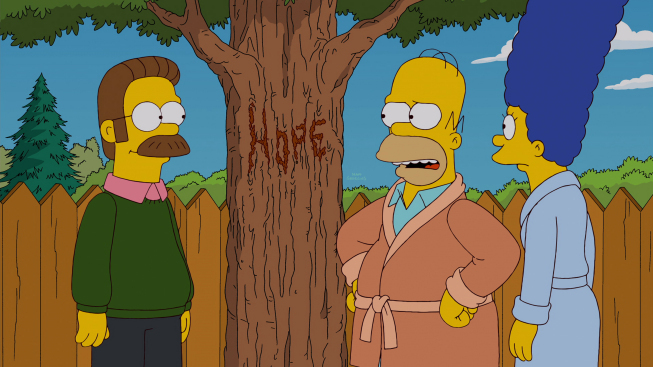 Homer begins to spread the word about the hope and the tree in his garden. Kent Brockman decides to prove that there is not a miracle and his team manage to film from their helicopter when someone at the night painting Hope on the tree with syrup. 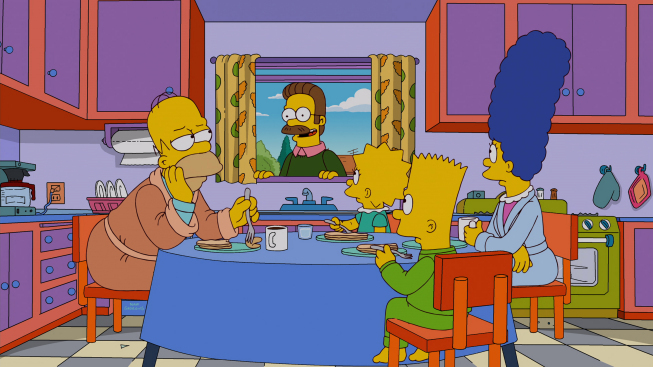 The residents of Springfield fells cheated at the hope and Homer lost huis joy of life again but after Marge explained that the important thing was that he felt was at the hope was genuine. Homer understands what Marge says, and they begin to discuss who wrote it and they come to the conclusion that it was the man who knows he needs to jump most of all. During the night is Homer in his sleep painting Hope on the tree, meanwhile watching God him on his MyPad and he is visited by Steve Mobs who want him to update the tablet. Malibu Stacy and Bubbles drive their cars and stop next to each other at a traffic light. Bubbles and Stacy try to have contact with each other but Burly running at Bubble's Car and taking his place. Burly is on a date with Stacy and Bubbles feels alone when Funzo come and start destroying the city. Burly is hiding and Funzo kidnaps Stacy. Bubbles saves Stacy by taking out Funzos batteries. Bubbles and Stacy becomes in love and Burly leaving Stacy for another girl. Next scene is Bubbles and Stacy sitting in the same car and eating a Squishee. 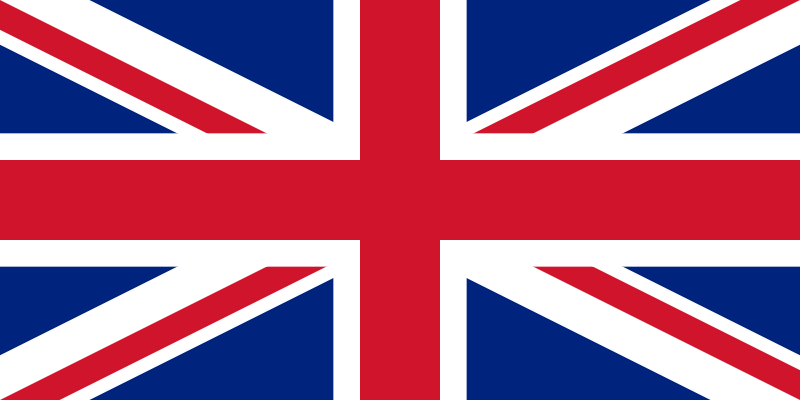 Modified on April 24, 2018, at 20:05.